If you’ve ever thought you had a book in you, but didn’t know where to start, award-winning novelist Karen Osman has some simple advice: just start writing. And Karen should know. 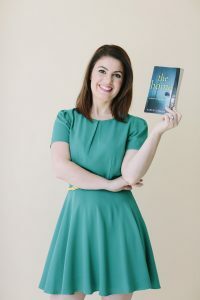 After winning the Montegrappa prize at the Emirates Airline Festival of Literature for her first novel, The Good Mother, Karen secured a coveted three-book deal. 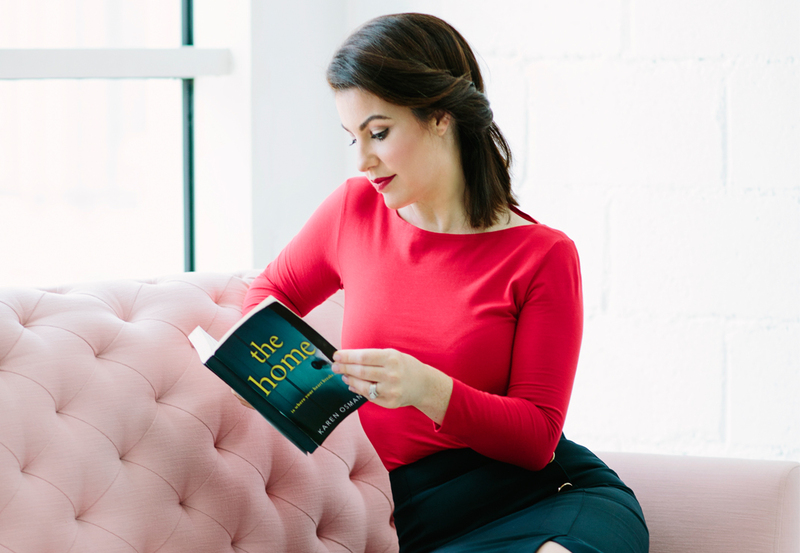 She’s just launched her second novel, a psychological thriller called The Home, and is in the midst of writing her third. “Most authors will tell you the second book is the hardest,” Karen reveals. “You now have a deadline and a book deal, so the pressure is really on. All of a sudden, you’re living the dream, so you don’t want to ruin that. Plus, reviewers are more critical of a first book than a second,” she says. So how does one create structure in a world that is seemingly limitless? “Planning and research is such a massive part of the process, especially in the thriller genre as it doesn’t follow a linear structure, and it jumps between different perspectives and tenses,” says Karen. While many of us may have idealised visions of an author hunched over an antique typewriter, Karen takes a more pragmatic approach to those early stages of planning: “Over a four- to eight-week period, I start mapping out the plot and characters using different tabs on an Excel spreadsheet. It’s only then that I start fleshing things out using a pen and paper, which I still find help my creativity.” Once Karen has built up her characters, right down to the way they talk and what time they get out of bed in the morning, it’s time to sit at her computer and start writing in earnest. Now that novel writing is a full-time job for Karen, do normal office hours apply? “Timing is everything, so I always try to get 2000 words down at my best time of day. For me, that’s first thing in the morning, as soon as my two boys are out the door, between 7am and 10am,” says Karen. It seems Karen’s approach is working. When we speak, Karen has written the first 80,000 words of her third book, and is enjoying rave reviews for The Home. “It’s only been on the shelves for four weeks, but it’s already averaging 4.3 out of 5, which is really good for a second book,” says Karen. And The Good Mother continues to grace best-seller lists across the world. The Good Mother and The Home are now available at Magrudy’s.